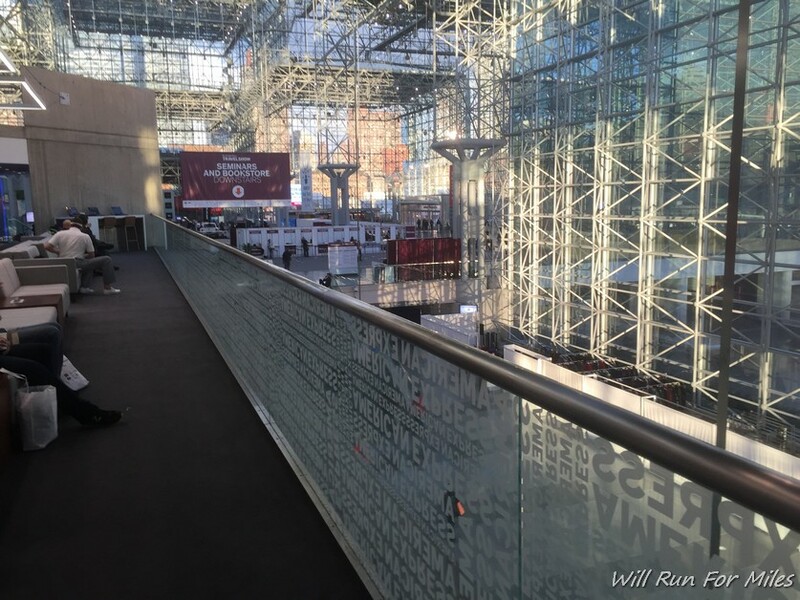 I attended the New York Times Travel Show at the Javits Center in New York City this past weekend. The lounge is located on the 4E Terrace, above the south side of the Crystal Palace lobby. American Express OPEN is dedicated to helping small businesses do more business. That’s why we created the American Express OPEN® Business Lounge, a premium event amenity at the Javits Center. This state of the art lounge offers American Express OPEN Card Members, and onsite Card applicants, an opportunity to break from their busy schedules and enjoy free Wi-Fi, refreshments, computer and printer access, loaner device chargers and comfortable seating for productive meetings or pure relaxation. 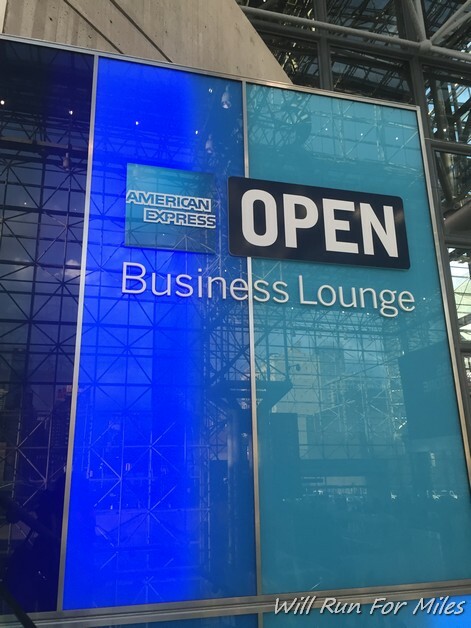 Business Owners who are not Card Members may apply for a Business Card from American Express OPEN with representatives at the business lounge and American Express OPEN kiosks throughout the Javits Center. I kind of felt like I was in an airport…..
Just went to the Chicago one at McCormick Place! We just need some one to review the Vegas one! Guest policy? Going to the auto show this weekend! If I recall, they had very limited hours – they might even be closed on weekends. Fyi, the guest policy is 2 guests per cardholder.